"Wild Concord Grapes" original oil - for sale in my shop! The smell of grapes ripe on the vine is inviting when strolling along a country road in early September. Whenever I see them, I have to pick a few to taste before the birds get them all. They are always sour with thick skins and crunchy seeds and remind me of my childhood picking concord grapes at my art teacher's little farm. This painting celebrates the richness of late summer and wild grapes! It is an original oil painting on panel size 7"x5". 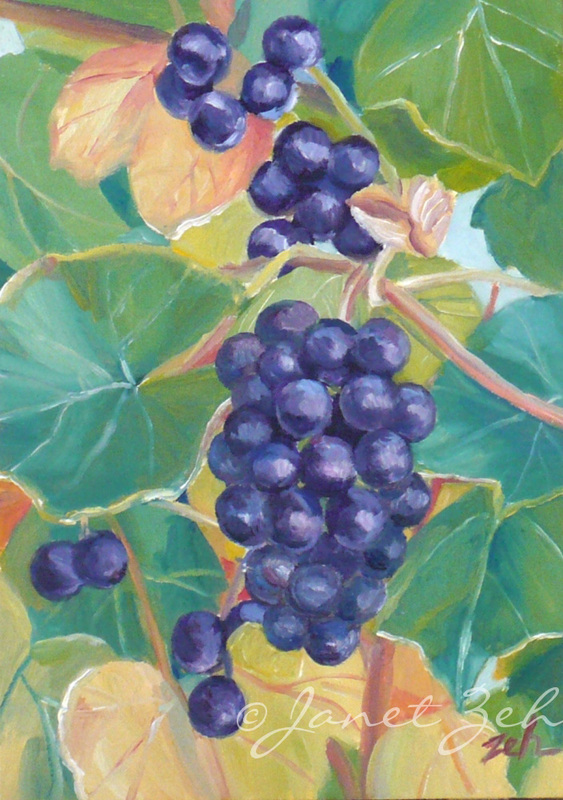 You can get it in my Original Art shop: Wild Concord Grapes. Thanks for stopping by today!